We discussed about residual soil in our previous post. Here we will discuss about properties of residual soil in relation to parent rock. Residual soils are found in the southern portion of United States, Hawaii and tropics. Properties of residual soil deposit are usually depend on the properties of their parent rock. We know that this soil remains in position of its formation rock. If hard rocks like gneiss and granite are subjected to weathering, most of the products of weathering remains in parent location. 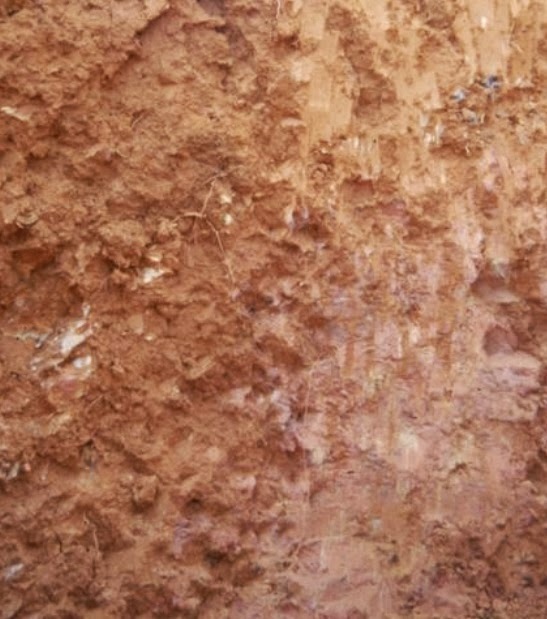 These deposits of residual soil usually have a layer of clayey/ silty clay in the top which rest upon sandy and or silty bottom layer. They are usually underlain by gradually varying partially weathered to a sound bed rock that is not weathered yet. The depth of sound bedrock may vary within a wide range. This variation is sometimes observed within a short distance of mere few meters. So engineering properties of such deep soil deposits very significantly with depth. The finer particles are found near top layer and larger fragments are in the greater depth. Here we discussed about hard rock; in case of rocks that are chemically active the formation may vary with these. In the next post we will discuss about chemical rock like limestone.